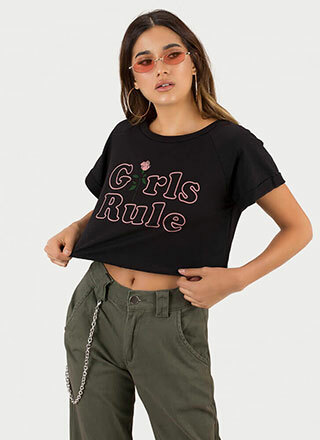 You're a babe, and everybody knows it. 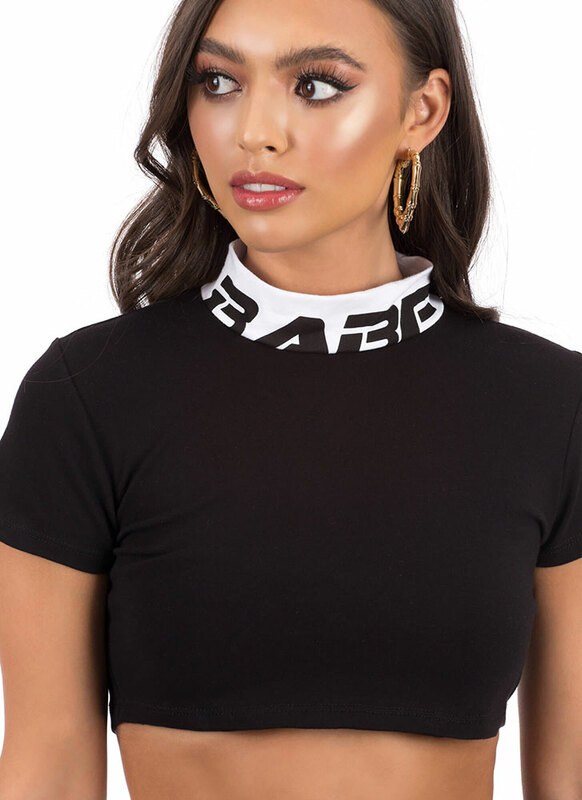 Stretchy, lightweight, short-sleeved crop top features a two-toned design with a contrast mockneck collar that reads "BABE" in sporty stylized text. No closures are included.